What is SilkLight Laser Treatment? 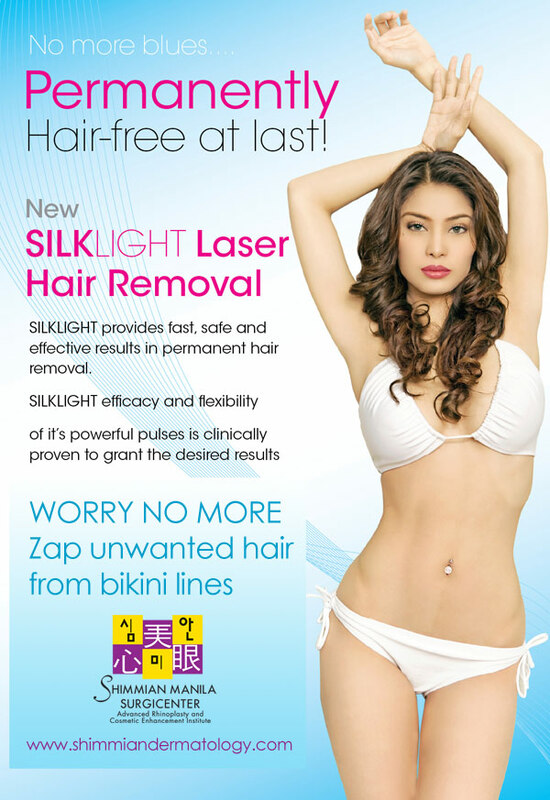 SilkLight is a non-invasive laser treatment that is clinically proven, safe, fast and effective. It erases skin damage without the disruption of the skin’s surface, and addresses the effects of aging and sun damage with low risk of complications and without the downtime. What kind of results can be seen? After a series of treatments, you may see a significant reduction of skin pigmentation, acne, unwanted hair, redness, and lines, and see the appearance of smoother, revitalized skin. The same treatment can be used effectively on the neck, the chest, and the hands. For photorejuvenation, depending on the severity of the individual problem, a series of 6 to 8 usually about 3 weeks to 1 month apart are recommended. Each session takes about 15 minutes. For acne treatment, the dermatologist shall require the patient to have a weekly session during the first 4 weeks which shall be graduated into 2x a month until it becomes once a month, depending on the progress of the treatment. Number of sessions required for hair removal varies greatly based on hair type, thickness and other factors. On the average, it takes about 8 to 12 sessions. How SilkLight treatments are done? Prior to treatment, a cool gel is applied to the skin, and you may be given dark glasses or other eye wear to protect your eyes from the bright lights. A hand-held treatment unit is gently applied to the skin to administer pulses of light to your face. You may feel a slight sting like a snap of a rubber band. However, local anesthesia or pain medication is seldom required. The treatment is quick, easy and virtually painless. Side effects are very rare with light treatments. In some cases, some slight reddening or local swelling may be experienced but these typically go away within few hours. Blistering may also occur on rare occasions. The skin may also become darker or lighter following treatment but will generally return to normal within few weeks. Limiting sun exposure before and after the treatment will minimize the risk of complications.